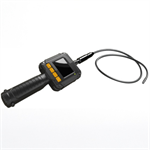 This is a side view rigid inspection camera that is specially designed for cavity wall or vehicle inspections. 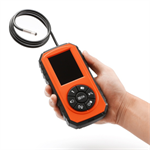 The Pocket Scope is a real pocket-size endoscope camera with its 1m camera tube winded inside the back part of the product. Featured with 5.5mm semi-flexible tube, HD 720P resolution, SD card recording and more. 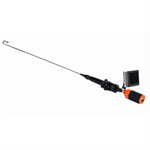 This 3.5" HD full color 2-way articulating inspection camera video endoscope comes with 63cm rigid stainless steel tube allowing you to view and inspect hard to reach area.